Toronto could welcome almost 170,000 immigrants over the next 3 years — are we ready? Nearly one million immigrants will be coming to Canada over the next three years, and many of them will wind up in Toronto — but is the city ready for an influx of newcomers? Nearly one million immigrants will be coming to Canada over the next three years, and tens of thousands of them will wind up in Toronto — but is the city ready for an influx of newcomers? On the heels of the Liberal government's newly-announced strategy to boost immigration levels in the years ahead, Toronto immigration experts are raising questions about whether there is adequate support for the rising tide of economic migrants, family reunifications and refugees, in a city where both stable work and housing can be hard to find. "The rate of unemployment for racialized immigrant women is very, very high," says Catherine McNeely, the executive director of Newcomer Women's Services, a non-profit settlement organization. The latest census data shows more than 55 per cent of visible minority residents in Toronto are living on less than $30,000 a year, she adds. "When they do get work, it's minimum wage, it's precarious, it's shift work," she says. "We serve a huge number of women who live just north of the Danforth, where ... 57 per cent of the households have incomes under $40,000." Margaret Eaton agrees. As executive director of the Toronto Region Immigrant Employment Council, she stresses how most immigrants are highly educated, yet an economic divide persists. Employers, she says, need to step up and give newcomers a shot. "The heads of these big corporations have to cascade down that message to their hiring managers, and then you have to hire someone." And that pool of potential workers could grow quickly, thanks to the plan announced on Nov. 1. 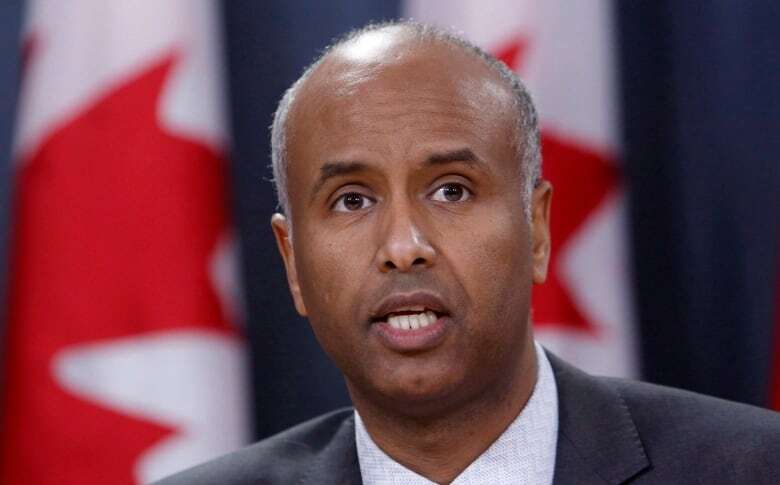 Dubbed "the most ambitious" plan in recent history by Immigration Minister Ahmed Hussen, it means the number of immigrants coming to Canada will climb to 310,000 in 2018, up from 300,000 this year. That number will rise again to 330,000 in 2019 — then 340,000 in 2020. Coun. Jim Karygiannis, who represents Ward 39, Scarborough-Agincourt, praised the Liberals' plan and said previous governments haven't been "courageous" enough to move in that direction. He also says more people in Toronto means more support is needed. "We need to get ready for them," Karygiannis explains. "We need to make sure our schools are prepared because a lot of the kids coming in do not speak English. We need to make sure we have services." It's crucial in Toronto specifically, a city which has typically been a "huge magnet" for people coming from abroad, Eaton says. Hussen says the government plans to prioritize integration of immigrants, ensuring they have access to the resources they require to thrive. "The supports are there, and they will continue to be there and we are working very closely to the industry," he said. 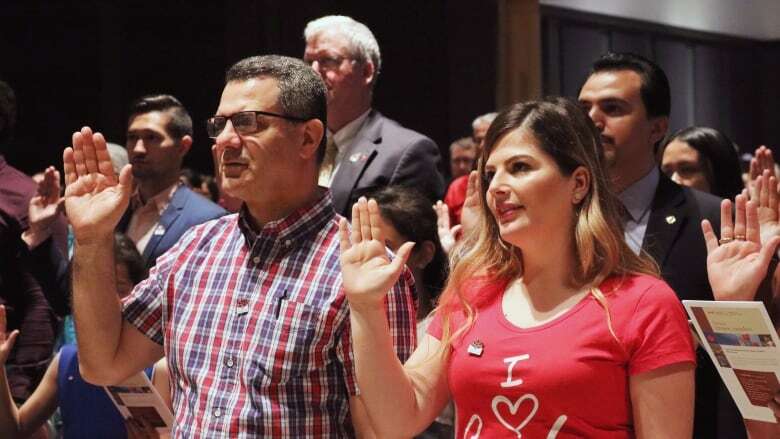 The 2016 census showed the city was home to more than 17 per cent of all recent immigrants to Canada, even though less than eight per cent of the country's population lives in Toronto. If that trend continued, the city would be welcoming more than 50,000 immigrants in 2018 alone, and nearly 170,000 over the next three years. But as the city continues to struggle with affordable housing, one expert says it might not be a diaspora destination in the years ahead. Diane Dyson, director of research and public policy at WoodGreen community services, says many of the recent Syrian refugees, for instance, wound up settling elsewhere in the GTA. "A lot of them arrived in Toronto, were sponsored in Toronto, but they moved outside the city boundaries," she says, to places like Mississauga and Markham where housing is more affordable. Still, the flow of newcomers might shrink, but it certainly won't slow to a trickle. "If immigrants are going to come to Toronto and have success, they must be supported," says Eaton.